You can’t go wrong with this option! Our great value Hypnobirthing Practice Bundle includes mp3s, the little book of hypnobirthing eBook and a discount off face-to-face or online classes if you decide to upgrade! BONUS – We know that you are going to love our program. If you decide to upgrade to face-to-face classes with a participating practitioner (group, private or Skype) within 4 months of purchasing this bundle – you receive a $30 discount off your class fee when you present your purchase receipt to your Hypnobirthing Australia Practitioner* or $59 discount off the hypnobubs online course if you choose to upgrade. *Discount available with participating practitioners only, Australia-wide. 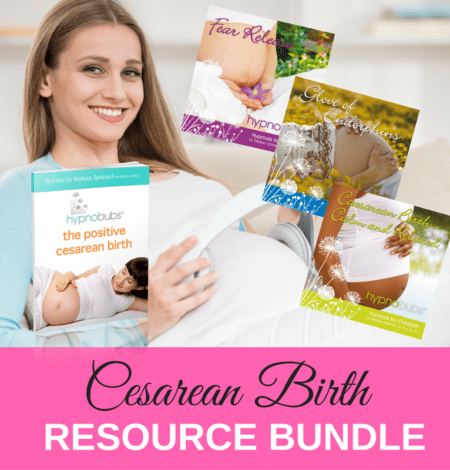 You can get started with your hypnobirthing preparation by purchasing our ‘Hypnobirthing Australia Practice Bundle’. PLUS our exclusive ‘little book of hypnobirthing’ eBook! BONUS – We know that you are going to love our program. If you decide to upgrade to face-to-face classes with a participating practitioner (group, private or Skype) within 4 months of purchasing this bundle – you receive a $30 discount off your class fee when you present your purchase receipt to your Hypnobirthing Australia Practitioner*. Or the full $59 off the hypnobubs® online course if you choose to upgrade. You can’t lose with this offer!